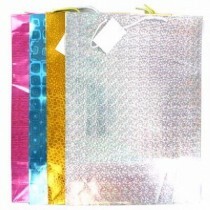 Holographic gift bags have remained a popular gift wrapping staple for many years, perfect for presenting gifts for any occasion - whether it’s a birthday present, a Christmas gift or engagement party. 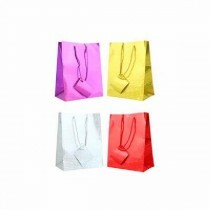 Their mesmerising design and array of cool colours makes them a fun and easy way for people to give gifts for special occasions. 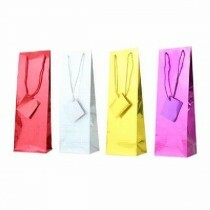 Crosswear Trading stock a comprehensive range of holographic gift bags available at competitive trade prices. 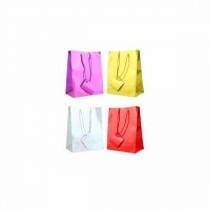 If you’re looking to expand your gift wrapping stock with a popular and timeless solution, just browse our entire range of holographic gift bags below. 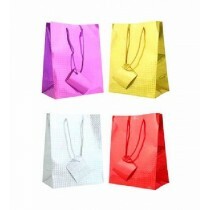 Refresh your stock of gift bags with ease by choosing multi-packs from Crosswear. 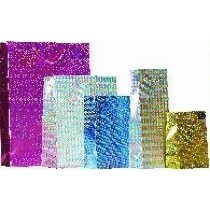 If you’re a busy gift shop looking to fill empty shelves with a beautiful range of holographic gift bags, you can choose from 6 packs and 12 packs. 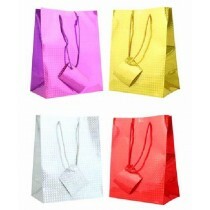 They can either contain the same design, or a whole range of different shapes and sizes of gift bags so you can provide your customers with a variety of choices. 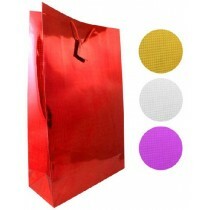 By stocking up on lots of different colours, you can be prepared for every event on the calendar. 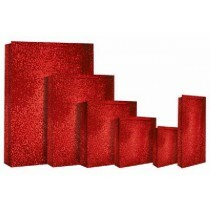 For example, red, gold and silver are especially popular during the festive season. 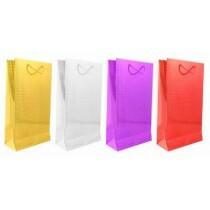 Our range of holographic gift bags is available to be despatched to trade customers quickly and conveniently. To access our competitive trade prices and quick and reliable delivery services, simply register for a trade account with us today. 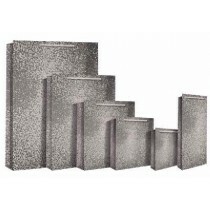 Please login to see prices or to order.